Tourism promoters call Brantôme “The Venice of Périgord”, a moniker attributed to French president Raymond Poincaré, who visited the village in 1913. And while I wouldn’t go quite that far, this lovely village, 25km north of Périgueux, is one of the most beautiful villages in the region. 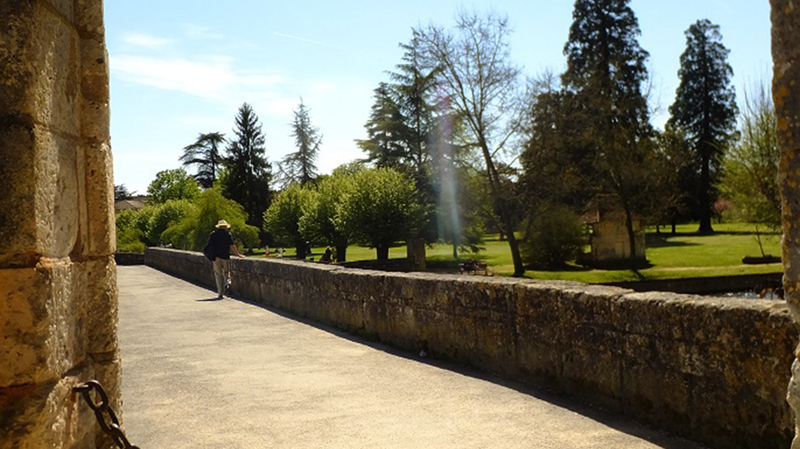 Having visited this area a few years back in the wintertime, we set off to Brantôme again on a recent beautiful spring day. We park along the Dronne river, walk through Jardin des Moines and cross Pont Coudé, an unusual L- shaped bridge. Since our earlier visit herewas too brief to explore, we have decided to tour the Grottes de l’abbaye today. Tickets are sold at the tourism office located on the corner of Pont Notre-Dame, just across the river from Brantôme’s Abbey. Visitors can choose to buy passes for the grottes, the abbey or both. Guided walks along the river, river cruises and canoe rentals are other options in the high season. Set along the Dronne river and oozing with charm, some call Brantôme "The Venice of Périgord"
Even in wintertime, Brantôme warrants its designation Plus Beaux Detour. 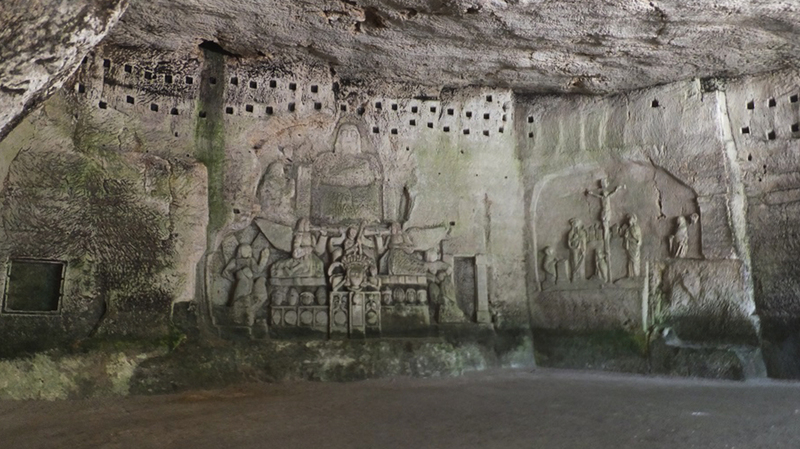 A close-up shows details of "The Last Judgement" bas relief from the 16th century in the Grottes. 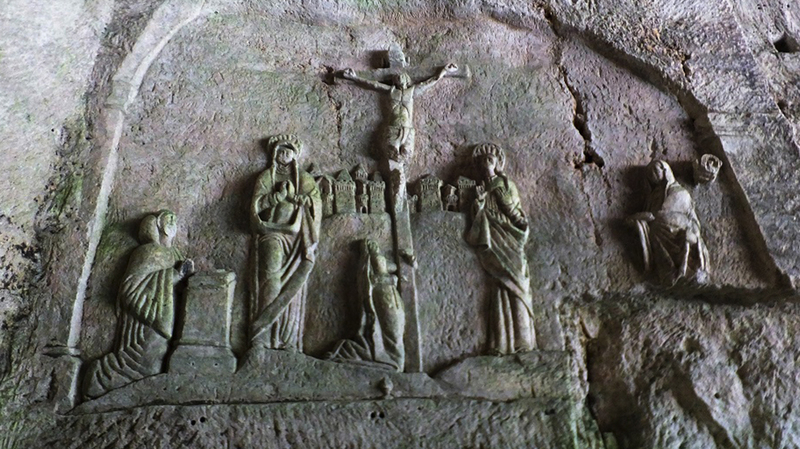 The monks who constructed the Grottes de l'abbaye in Brantôme included dovecoats as seen above "The Last Judgement" bas relief. The monks sold droppings from the birds who lived in the caves for fertilizer. The view from the grottes in Brantôme look upon a garden and the river beyond. Signposts (in French and English) along our our self-guided route, explain the millennium of history of the grottes. 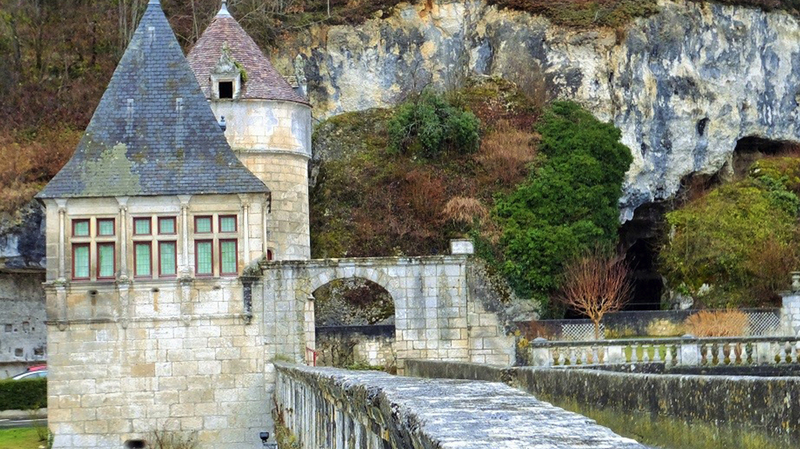 Hermits first occupied the natural caves in the limestone cliffs in what is now Brantôme. The first Benedictine monks arrived in the 8th century. 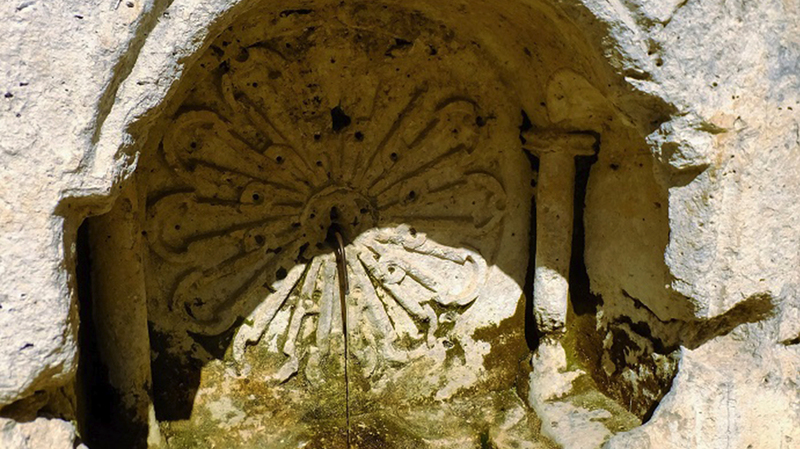 They excavated the limestone rock and constructed massive chambers adorned with bas relief tributes, along with a fountain dedicated to Saint Sicaire that they believed contained miraculous healing water. Our walk concludes at the monastic building that houses a small museum dedicated to painter and printmaker Fernand Desmoulin (1853-1914). We have decided to forego until next time a visit to the abbey itself, which includes a Romanesque bell tower from the 11th century. 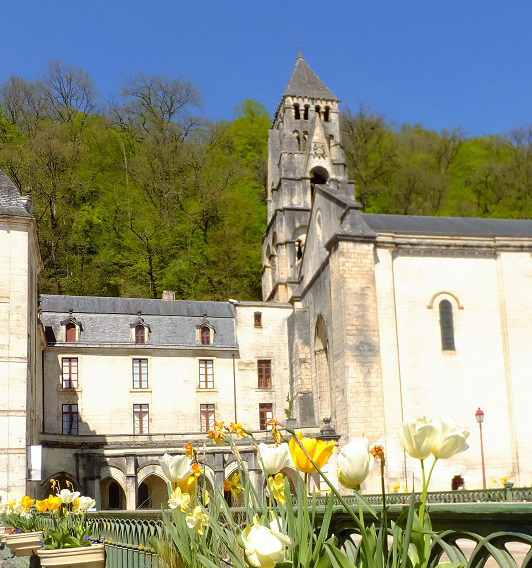 Several noteworty sites are close to Brantôme, including two castles: Bourdeilles and Jumilhac; Grottes de Villars; and several charming villages including Saint-Jean-de-Côle and La Chappelle-Faucher. But before leaving the village, take advantage of Brantôme’s generous assortments of restaurants, or pick up some local delicacies for a riverside picnic. 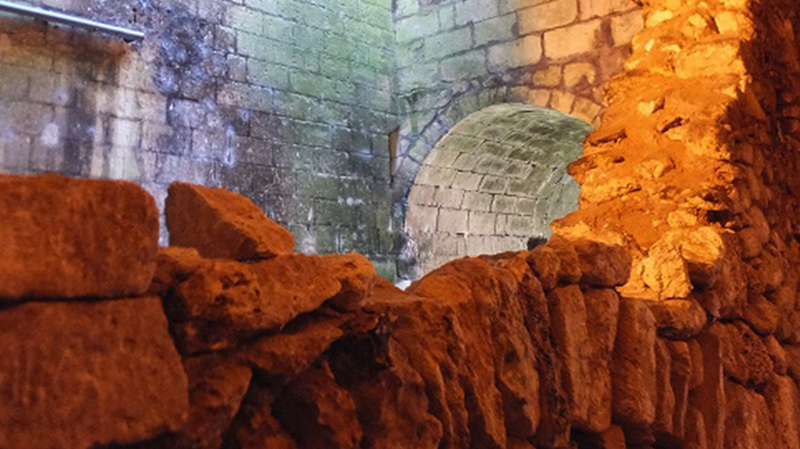 Grottes de l’abbaye and Abbaye Saint-Pierre de Brantôme are open to visitors all year round except January. 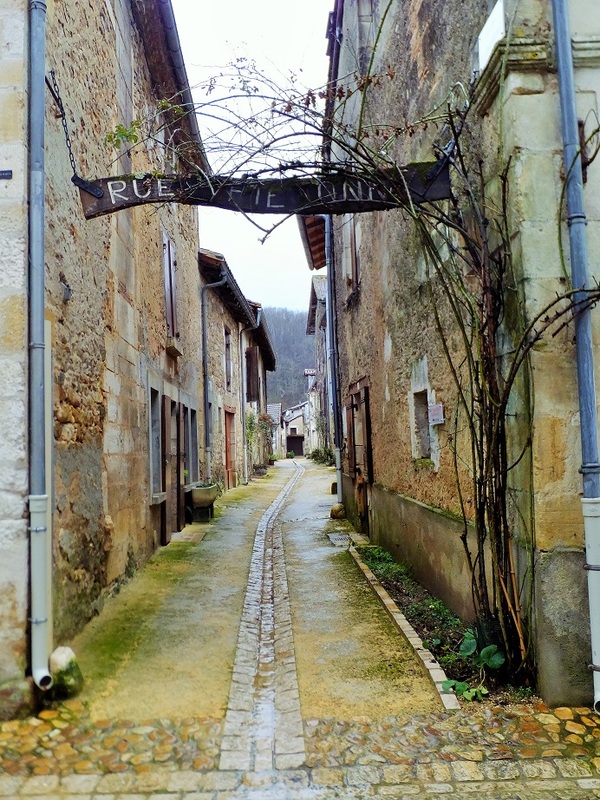 I pause to look at the ancient alleyway in Saint-Jean-de-Côle. 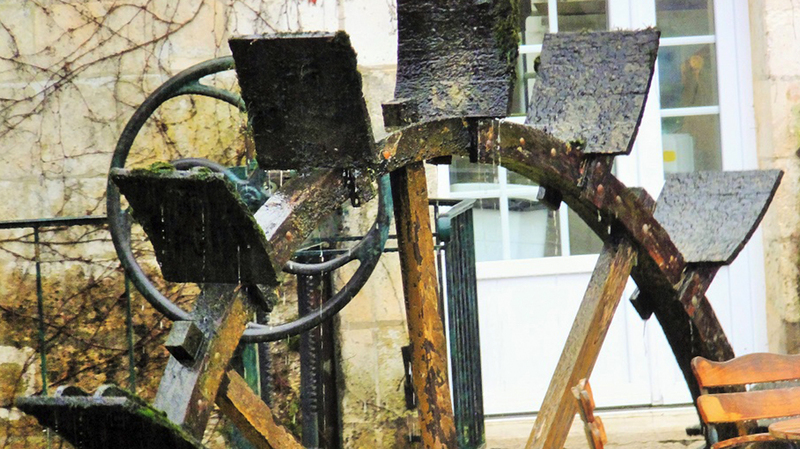 A water wheel turns at a mill along the Dronne in Brantôme. 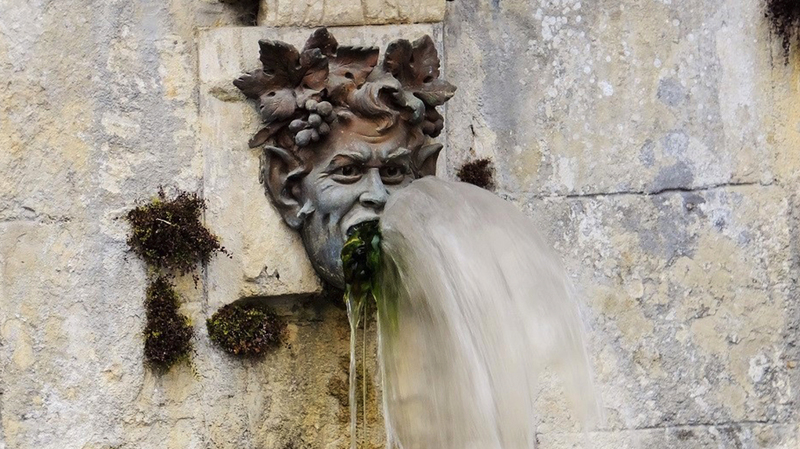 A fountain spews forth water in Brantôme. 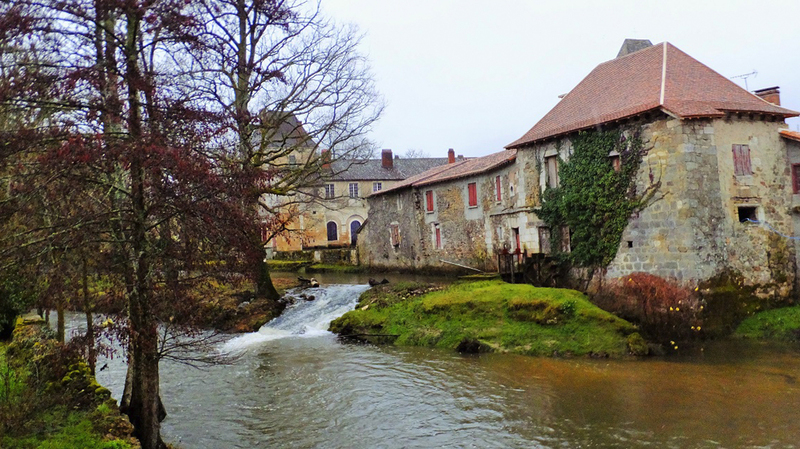 The village of Saint-Jean-de-Côle, located 20km northeast of Brantôme, is worth a visit. 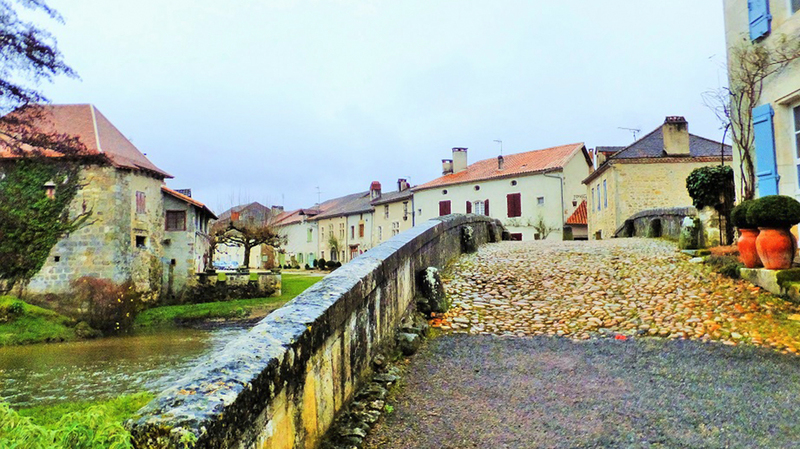 This bridge, charming even in the wintertime, is in Saint-Jean-de-Côle, one of France's Plus Beaux Villages. 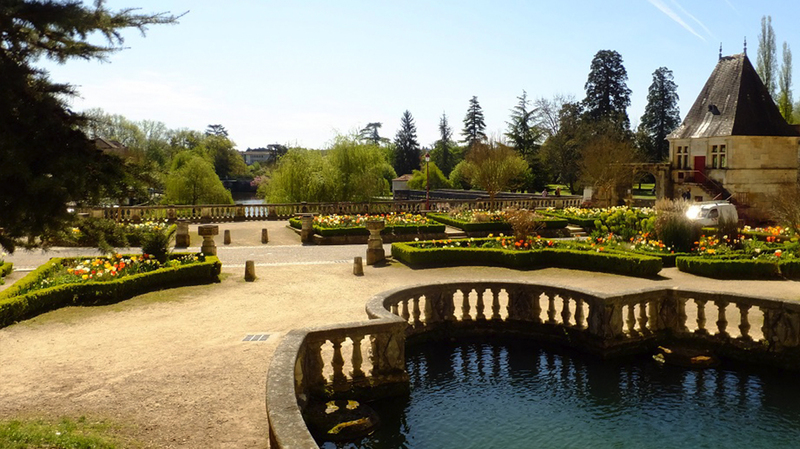 The waters of Saint-Sicaire fountain in Brantôme are said contain miraculous powers.